I love the fact that my girls are so creative and that their imaginations are always working on over drive. This means that even when I can't think of things for us to do, they manage to come up with ideas all by themselves. 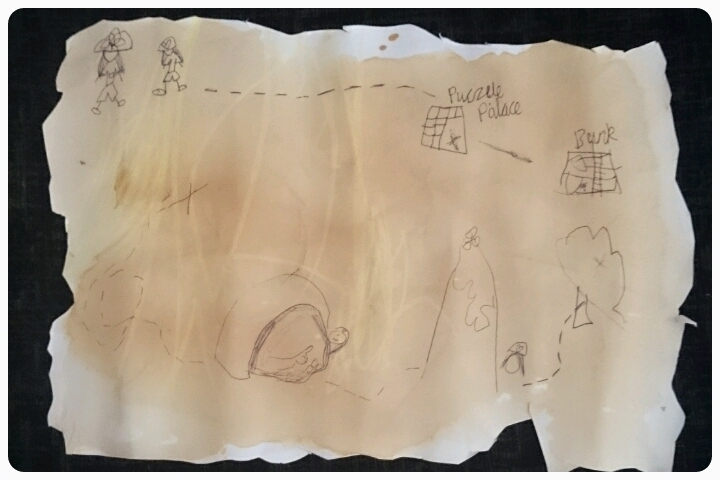 Last week my eldest two daughters, after watching another episode of Jake and The Never Land Pirates with their sister's, decided to make a treasure map and go on a treasure hunt around the house to find buried treasure. 1. Start by cutting the edges of your piece of paper. Make it as wonky or torn as you like. 2. Dip a tea bag in a cup of water and then wipe the tea bag across your piece of paper. Making sure to cover it all. 3. Leave the paper on to dry. 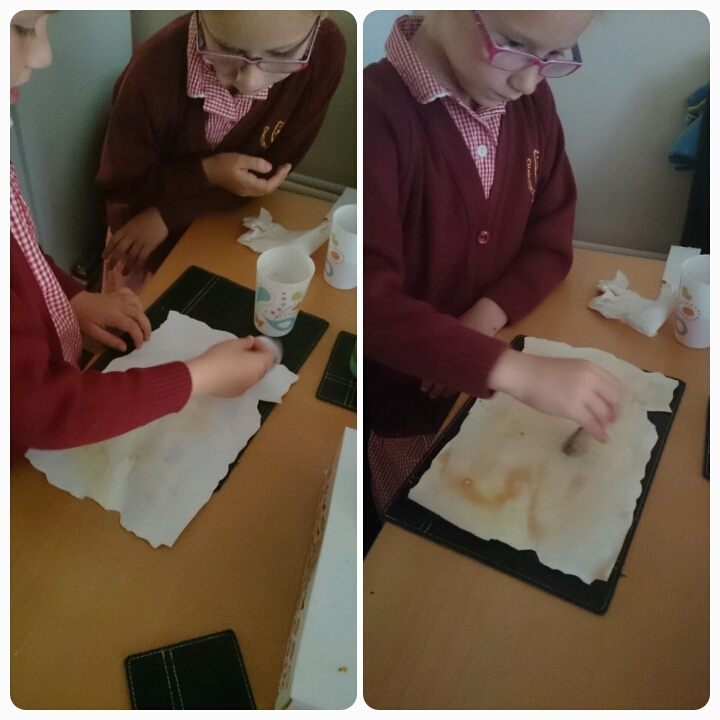 It will depend on how wet the paper is at to how quick it dries. 4. Using your pen, draw on your treasure map, the places you need to visit and the route you need to take. And remember X marks the spot!! 5. 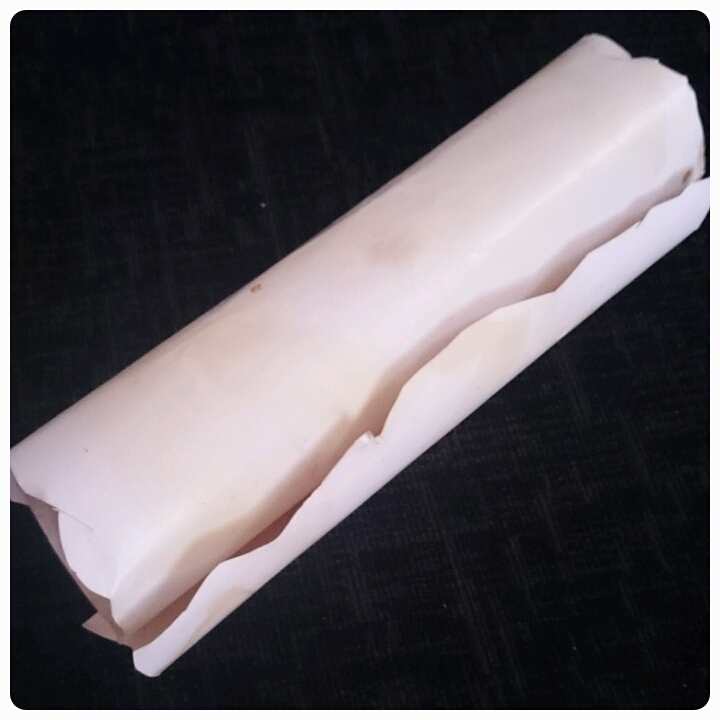 Roll up your completed treasure map and place it somewhere for somebody to find, then let the treasure hunt begin. The girls have been using their own toys, books and jewellery as treasure but you can always make a treasure map for them and place gold coins (chocolate of course) around the house for them to find. Something so easy to create means hours of fun. A great idea for those not so nice days during the Summer holidays. Have you ever been on a treasure hunt?? Great idea, definitely going to do this in the summer holidays. Lovely idea and it's always great when children come up with these things themselves. My son likes to make treasure maps too. So simple but so effective and really does bring out their imaginations.